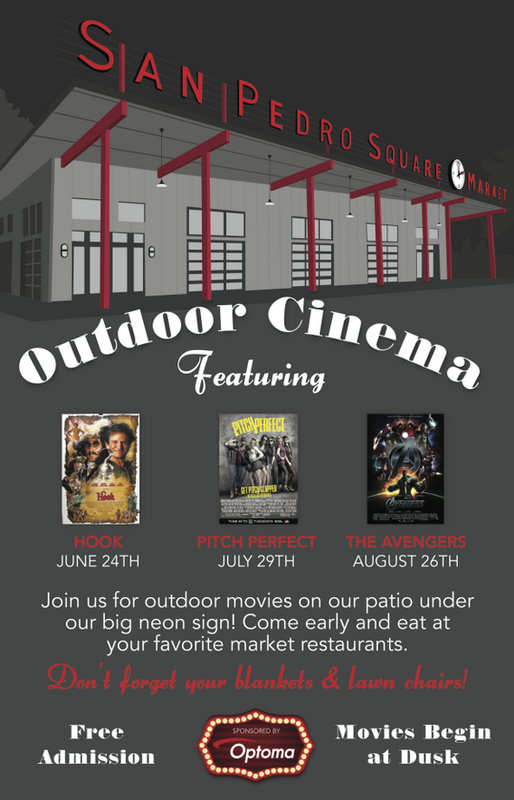 San Pedro Square Market Special Events: Join SPSM this summer for 3 free movie nights! Bring the family and invite your friends to enjoy the summer weather, market eateries, and some of our favorite movies on the big screen under the SPSM Sign. Bring your blankets and lawn chairs, and we'll see you at dusk!